a neutral palette. | owl's house london. A development of five apartments in Melbourne caught my eye whilst scouring the internet, as did the design blog of its author, pages from my moleskine (well worth a peek, here). 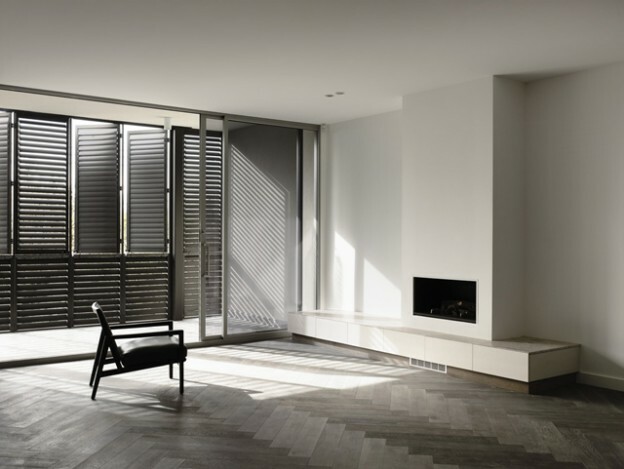 Although undecorated and uninhabited, a bland developer’s palette has been avoided with rich, subtle texture and beautifully detailed finishes. 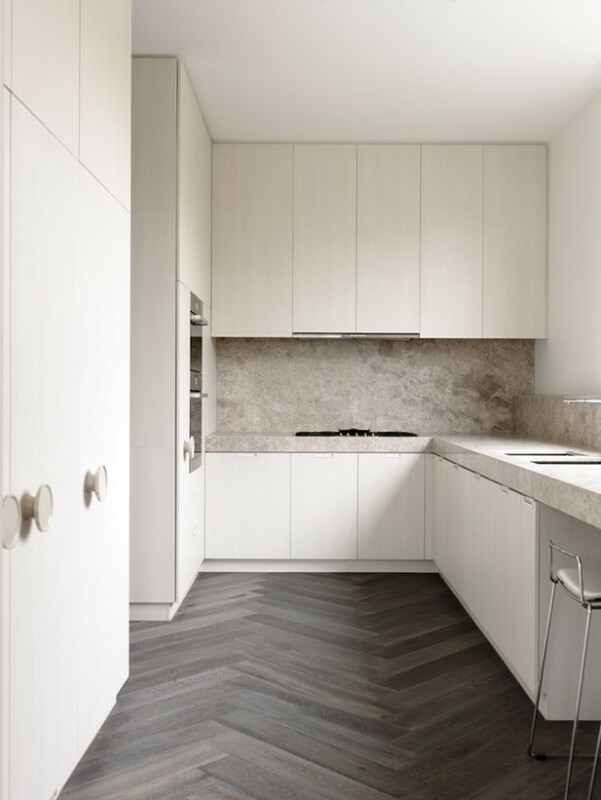 French grey parquetry flooring, palest timber veneer panelling and honed limestone provide the neutral backdrop. Generous proportions are evident with full height doors, and weighty stone benchtops. Plate sized, bespoke turned timber handles are the only extraneous elements. 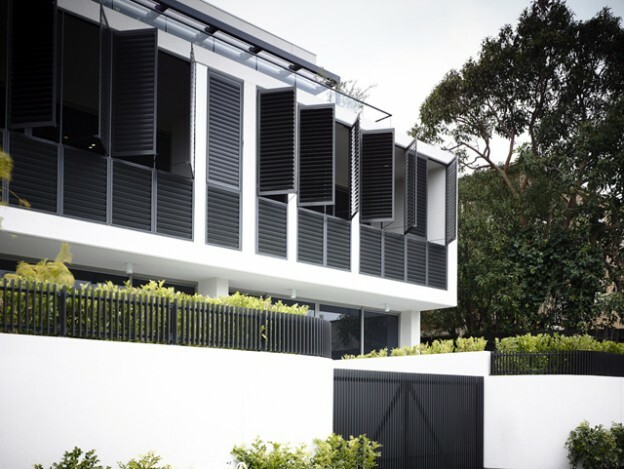 The black shutters of the facade create the only pattern within – that of the sunlight striping across the floor. 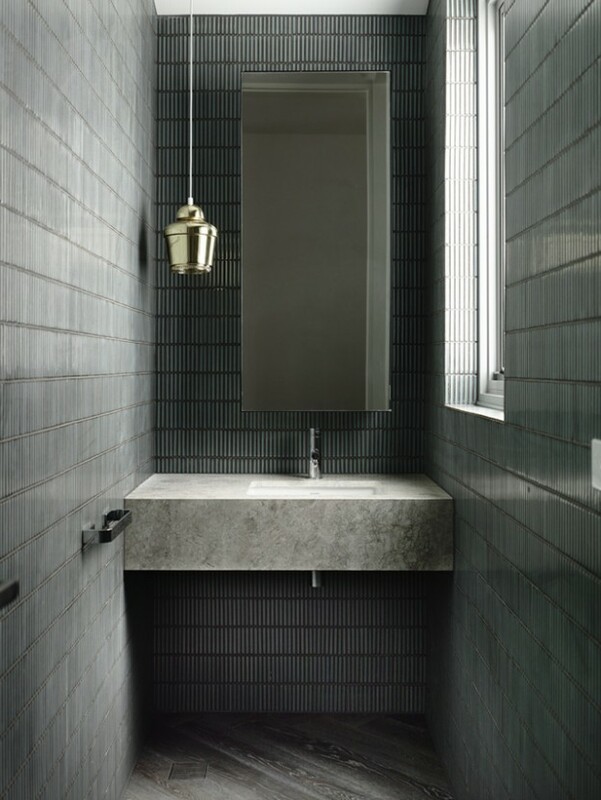 The otherwise achromatic colour scheme is only broken in the Powder room, with rich, grey/green mosaic tiles, and a single Alvar Aalto-designed A330 brass pendant floating assymetrically in the space. I love this palette of materials most of all. Gorgeous photographs by Derek Swalwell give life to the otherwise vacant spaces. This entry was posted in wonderful spaces. 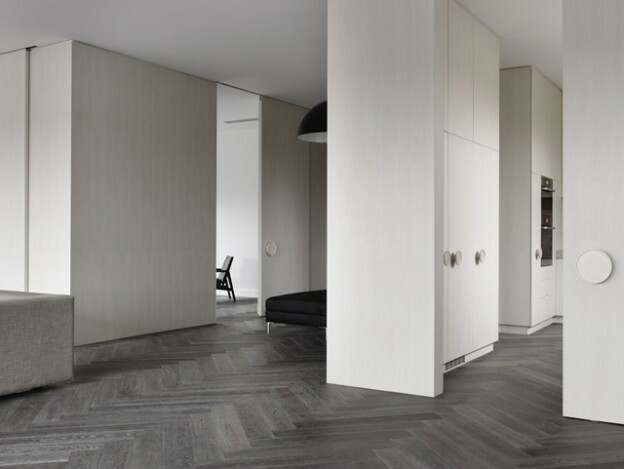 and tagged A330 pendant, Alvar Aalto, apartments, apartments in melbourne, architecture, Artek, Chamberlain Javens Architects, design, mosaic tiles on August 28, 2013 by owls house london..